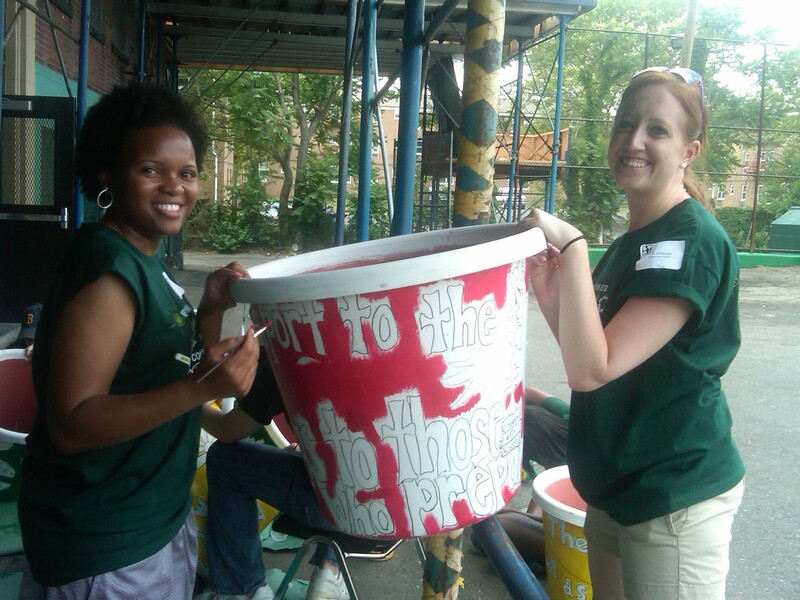 These volunteers use their teamwork to get this planter mural painted! Planter murals brighten up playgrounds all around New Jersey thanks to dedicated volunteers like these two. Thanks!